Well 2016, you keep throwing those punches! They say bad things come in threes. First there was Brexit, then Trump, now the “No” vote winning in Italy last night, leading to the resignation of Renzi. 2016 has definitely been the year of right wing political wins and is probably only set to get worse as we enter 2017. Renzi was by no means perfect, but then looking at Salvini, the leader of Italy’s far-right Northern League who have run a strong No campaign, we need to ask ourselves is the potential alternative any better? What is the Italian political system all about? I don’t profess to know much about the Italian political system, the current one seems overly complicated, although I can see the reasons why it was put into place. Originally devised as a 2 chamber system to avoid anyone like Mussolini ever being able to create a dictatorship, both chambers have to agree on a law. In principle a very fair system, in practice, a long drawn out, arduous process. The referendum proposed the removal of the second chamber, a reduction in the number of senators from 315 to 100 and to transfer some regional powers to the central government, including healthcare. As far as I could see it, a vote for Yes seemed to be a vote for a more stable and efficient country, but clearly not everyone agreed with me! The No campaigners denounced the proposed constitutional amendments as dangerous for democracy as they would remove checks and balances on power. Fronted by the popular anti-establishment Five Star Movement, Renzi’s Democratic party’s biggest rival, the “No” campaign also took advantage of Renzi’s fall in popularity, a poor economy of late and arrival of tens of thousands of migrants from Africa and its associated problems. Sound familiar? Déjà vu much? or that the referendum was the brainchild of the banks, the rich and the elite, of which Milan is also full of. A strange juxtaposition of social and economic classes. …and then in other news, the euro sank to a 20-month low today in the wake of the results, but not as far as the pound did after Brexit. The Five Star Movement Party says that it is getting ready to govern Italy and has called for a new election within a week. Renzi has said today, after meeting with the president, Mattarella, that he’ll stay until after the budget is passed later this week out of a sense of responsibility. I’m shaking my head in disbelief as I type this. Slow clap world, you’ve really outdone yourself this year. The votes of the Italians living abroad voted an overwhelming Yes vote with their postal votes. Renzi was counting on this overseas vote to help bolster his campaign, but it seems that it wasn’t enough. Like Brexit, the voter turnout was one of the highest in Italy, proving that there is a growing interest in politics, but also an increasingly worrying trend towards the right. And a call towards better informing voters. One result of Brexit was people who voted to leave saying that they would never have voted to leave had they known fully what this meant for the country. Scarily, it’s votes based on fear, xenophobia and misinformation that seem to be winning. Votes against the establishment rather than looking at the subtleties of what the vote itself means are winning at the moment in the same way that Brexit and Trump won. In this case it seems as though many voters cast their vote politically rather than on the merits of the reform. So, what’s the general feeling in Italy toady in the aftermath of the results? But, above all, there seems to be a growing discontent of those who believe that nothing will change and nothing would have changed with yes. Those in power would do better concentrating on improving the economy and job security, than wasting time on reforms that will have little if no effect on the everyday lives of the people. What do you think? Would the vote really have changed anything? Which way did you or would you have voted? 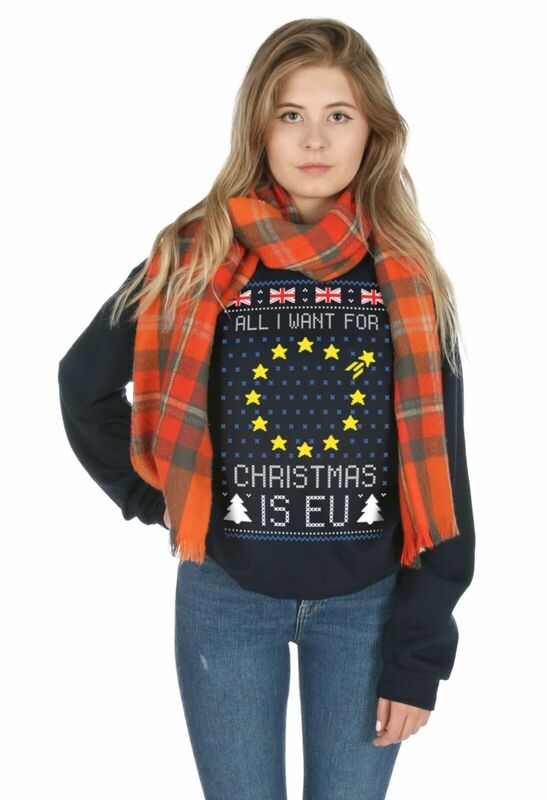 Meanwhile, if anyone is wondering what to buy me this festive season, this cosy jumper would do the trick! Previous Post Things I hate about Italy. Part 1. Next Post Gone off Italy?